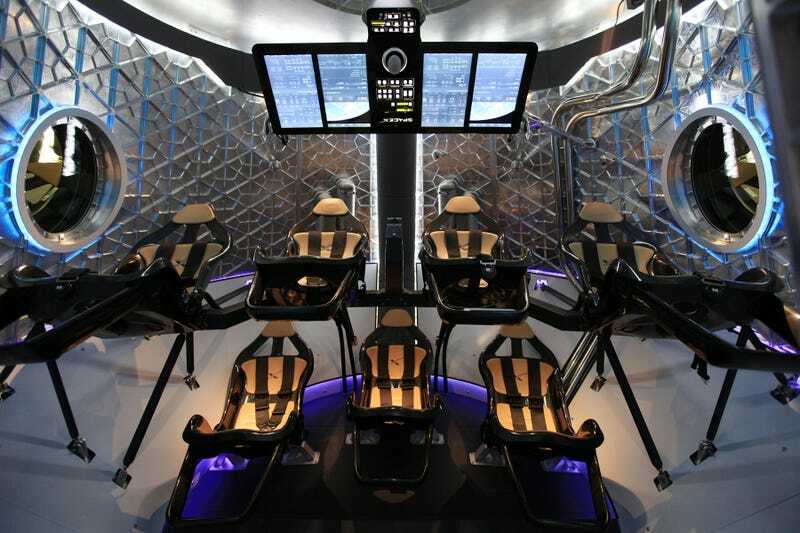 Commercial space-transportation company SpaceX is auctioning off a private tour of its rocket and spacecraft factory in California for a group of up to 10 people. Auction proceeds will go to the Women in Technology Education Foundation, whose goal is to empower "women and girls to change the world by excelling in technology-related careers." At SpaceX your party will tour the world's largest facility developing the complete design, fabrication and assembly of rockets, engines and spacecraft. You will see Falcon 9 rockets being assembled, Merlin engines being constructed, Dragon spacecraft in production and even a Dragon that has returned from space! Following the tour, guests will have a chance to meet Gwynne Shotwell, President and COO of SpaceX in person. In a just world, Elon Musk would appear mid-tour dressed in a top hat and purple blazer and proceed to eliminate members of the tour group in a series of space-related deadfalls. Alas. Bidding is now open over at Charitybuzz and will close June 19th.